ave for physical activities and sports games that will protect their eyes, allow them to see clearly, and not get damaged during a game. If you need goggles for added security and eye protection when doing tactical work, there are many brands available for that purpose too. But in today’s post, we will focus on a specific type of protective eye wear that can be used for multiple reasons: photochromic safety glasses. Photochromic safety glasses are glasses that are built with lenses that change color with the lighting conditions. In this post, we will take a look at five of the top photochromic safety glasses and everything you should know about them. Photochromic Safety Glasses #PSG-TG-901: Photochromic safety glasses that are built with a removable, adjustable head strap are popular options for people who want to use their glasses for work and still keep them on their person when they are not in use so that they won’t get lost. A head strap also allows for more security when being worn. This photochromic safety eye wear model comes with a removable strap and is built with a wraparound design. The frame is built with a durable, high impact resistant plastic material and is most suitable for people with small to medium sized heads. The plastic frame is also designed with soft, foam padding to provide extra comfort and keep harsh winds, dirt, debris, and sweat out of the eyes. Because the lenses are photochromic, they will darken to a grey shade in the sunlight and become clear when worn indoors or in cloudy, overcast conditions. If you work both indoors and outdoors or you are an avid motorcyclist, these safety glasses make a great protective option. They are also compliant with OSHA safety standards and they are ANSI Z87 certified. It is very important to note that if you plan to wear these glasses while you are driving a vehicle, the photochromic feature probably will not work. And why is this? Because in order for the photochromic feature to work, the lenses need to be “triggered” by UV rays. The problem is that UV rays can’t go through car windshields and therefore won’t be able to activate the lenses. However, anywhere else that you wear these safety glasses, you shouldn’t have a problem benefiting from the photochromic lenses. Model 808 Black Plastic Safety Photochromic Bifocal Glasses, #PSG-TBG-808-BK: People who typically wear bifocal lenses throughout the day can also benefit from photochromic safety glasses when they choose photochromic safety glasses that come with a bifocal prescription. Because your custom bifocal prescription will have to be added to the lenses, this model will be more expensive than non-bifocal models (typically around $90). In addition to being designed specifically for people who require bifocal lenses, these safety glasses come with plenty of other appealing and useful features. The design is sleek and minimalist and is great for both men and women. In addition to edgy style, the glasses prioritize comfort and feel essentially weightless when being worn. The rubberized nose pads and rubberized temple bars make the nylon frame even more comfortable and ideal for long hours of wear. The rubber padding also ensures that the frames provided a more secure grip and protect the eyes from wind and debris. These safety glasses are also OSHA approved and ANSI certified. The lenses and frame are designed for high impact resistance, thanks to the extra strong polycarbonate material. Lastly, like any other photochromic lenses, the photochromic feature will not work when driving in a vehicle behind a windshield. 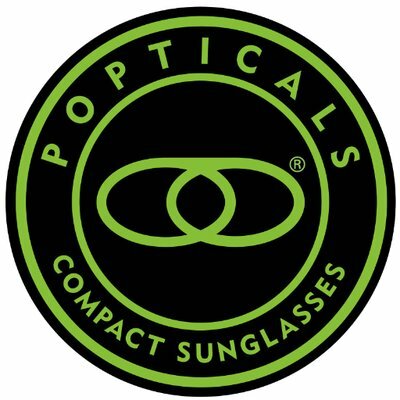 Photochromic Safety Classes #PSG-TG-808: Another classic and sharp photochromic safety eye wear option that seamlessly balances style, functionality, and safety, the 808 Model comes in a variety of frame colors to choose from and is perfect for men and women with medium to large sized heads. This model comes in black with silver, red with silver, and silver with black. The measurements for these safety glasses are 17 mm bridge, 138 mm frame width, 120 mm temple, 60 mm lens width, and 35 mm lens height. Because of the photochromic features, these safety glasses are perfect for people who routinely go back and forth from meeting inside (say in a shed or warehouse) to outside in the bright sunlight. The frame and the lenses are built with high impact resistance and are both OSHA certified and ANSI approved. 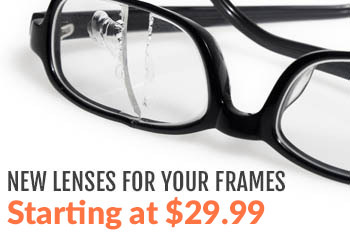 For comfort, the frames are designed with soft, rubberized temple bars and nose pads. Not only does this padding mean the glasses will be extra comfy for long hours of wear, they will provide a firm grip and keep sweat, dirt, debris, and harsh winds from irritating the eyes. Photochromic Safety Glasses Model 206 YBS: These are arguably some of the highest impact resistant safety glasses on the market and are constructed with ballistics-rated impact lenses. In addition too this rating and its impact resistance, these photochromic safety glasses meet and exceed the standards for ANSI Z87 safety and are compliant with OSHA standards. It is important to keep in mind that just like any other photochromic eye wear, these photochromic safety lenses will not work when being worn behind a windshield or anything else that blocks out UV rays. However, any other time that you are wearing these safety glasses outdoors in the sunlight, the lenses will transition to a dark grey shade. These lenses are also built to provide complete UVA and UVB protection and to keep vision clear when wearing the lenses inside or outside. The frames are most suitable for anyone with small to medium sized heads and are built with the following measurements: 19 mm bridge, 142 mm frame width, 117 mm temple, 50 mm lens width, and 33 mm lens height. Bifocal Lenses Model 206 YB: Another bifocal and photochromic lens option is the Model 206 YB by Philip’s Safety Products. The frame provides sharp, streamlined style, but the overall product does not lack in functionality in any way. The frame is made in black and yellow color with a wraparound design and a polycarbonate material. The lenses and frame are both extremely impact resistant and surpass the standards for ANSI Z87 safety and OSHA compliance. These safety glasses are also built with side shields, offering extra protection. The lenses provide complete UVA and UVB protection and the lenses transition from grey to clear and clear to grey in a matter of seconds. Looking for more information related to photochromic safety glasses or are you in need of more info on other types of safety eye wear? Feel free to contact us today with any questions you might have. You can also keep reading our other blog posts for more free resources or visit our official website to view our impressive selection of safety eye wear. Wow! This is amazing. Thanks for sharing the article.